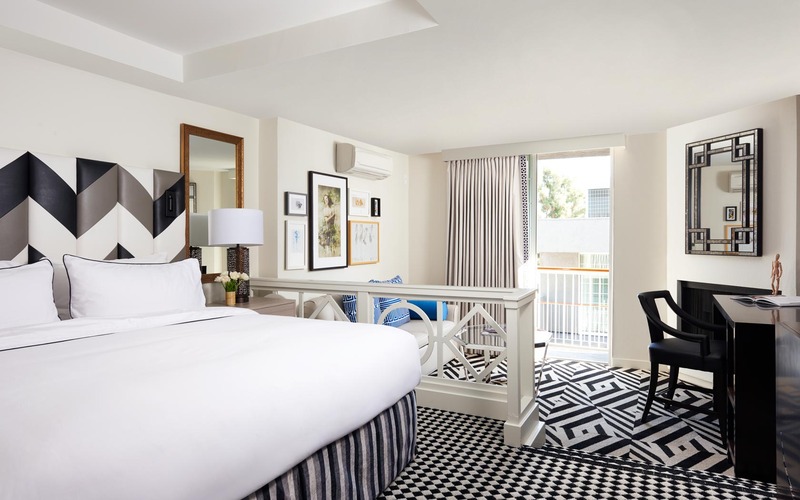 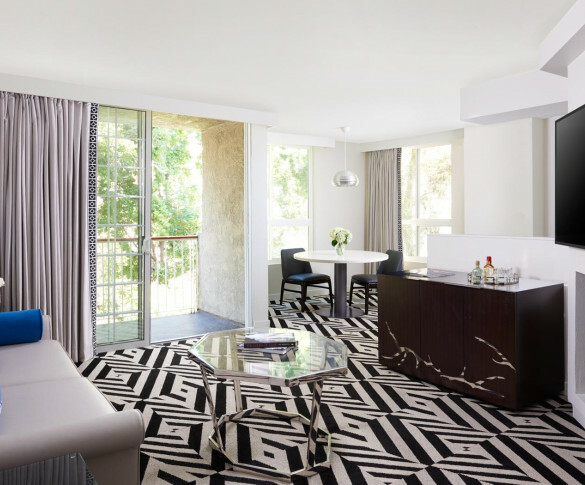 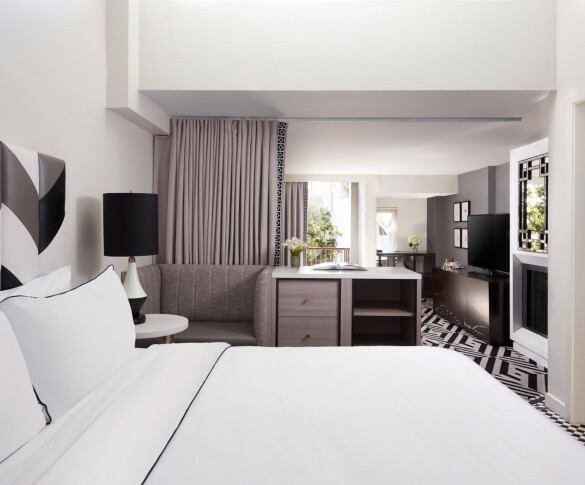 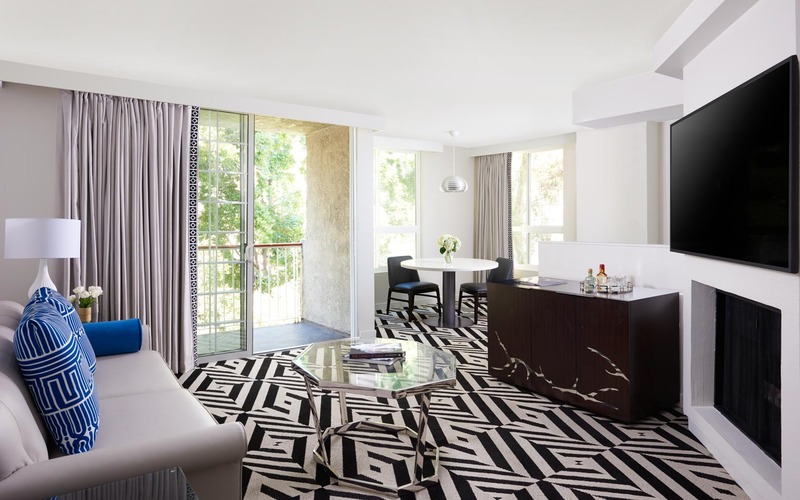 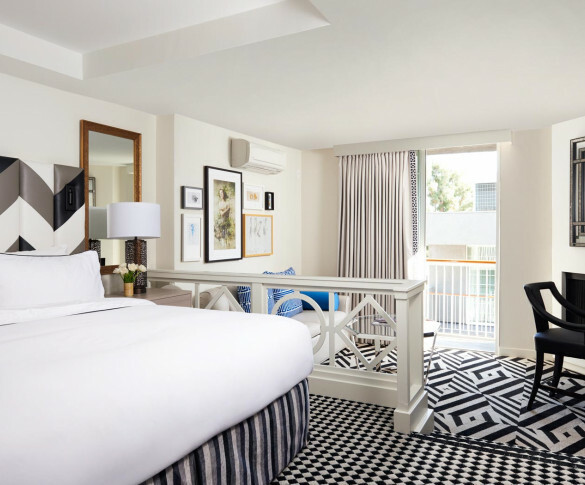 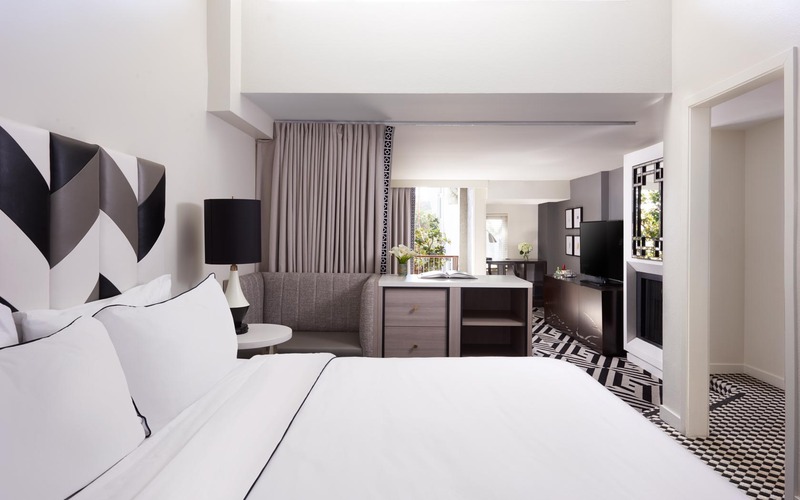 The Chamberlain West Hollywood’s 115 spacious newly remodeled suites feature private balconies, separate living spaces, cozy fireplaces and plush amenities. 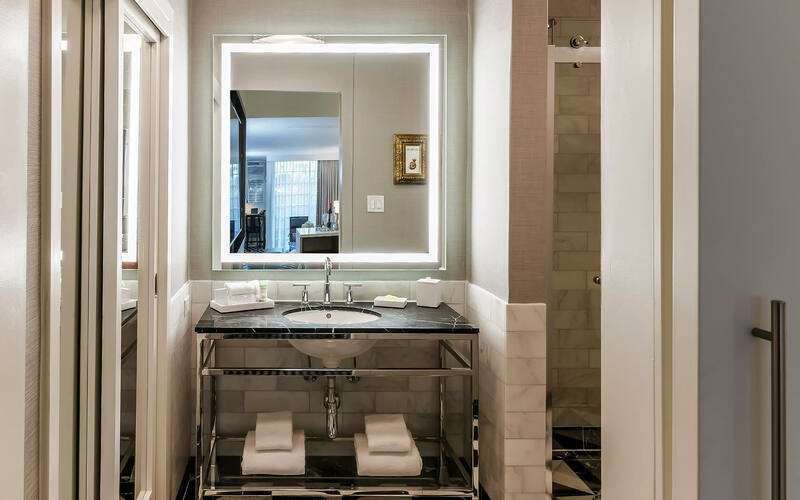 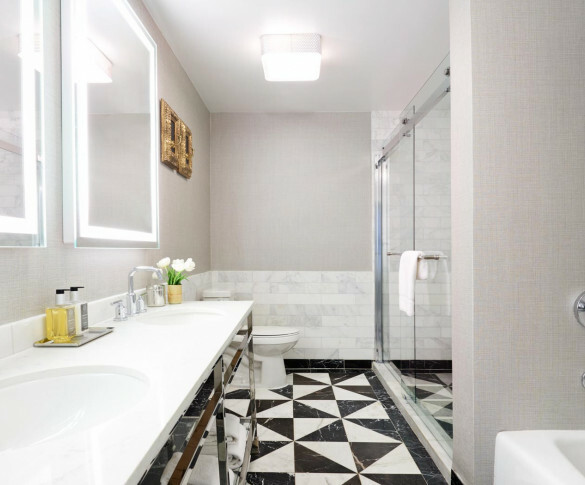 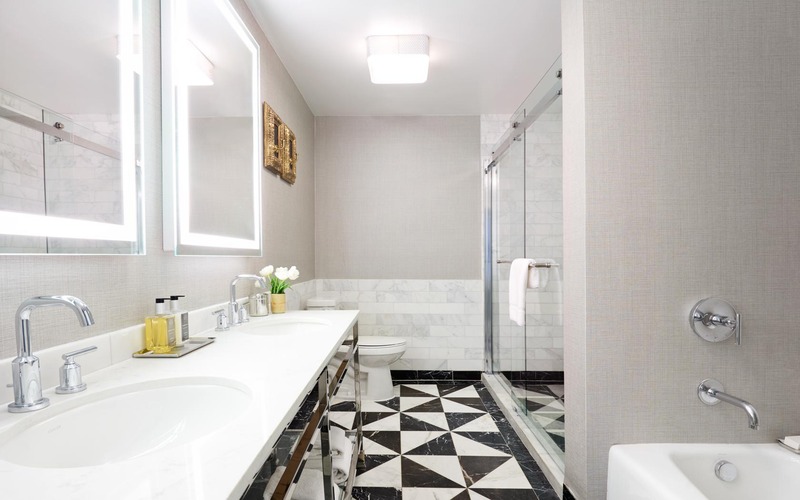 Stylishly designed by Perkins+Will, the sophisticated and comfortable accommodations of this urban escape showcase a palette of light hues with rich accents of gold and feature luxurious bathrooms with inspired marble and glass designs. 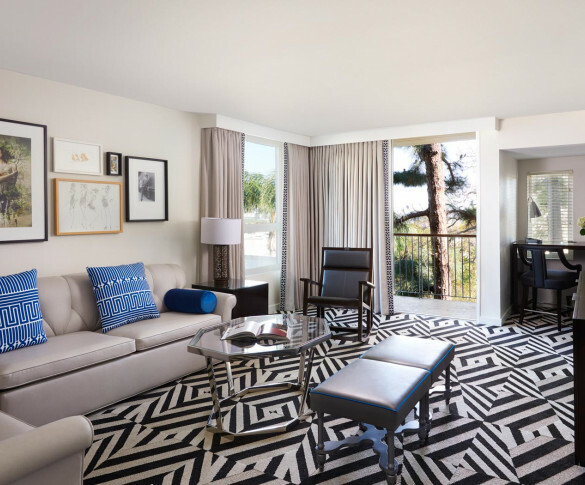 The modern décor conveys a warm and welcoming West Hollywood vibe. 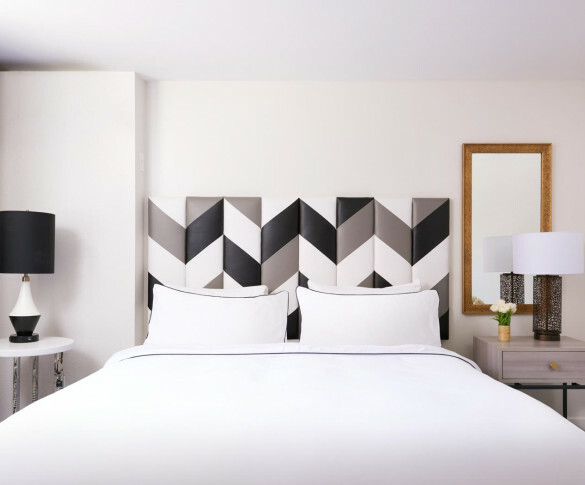 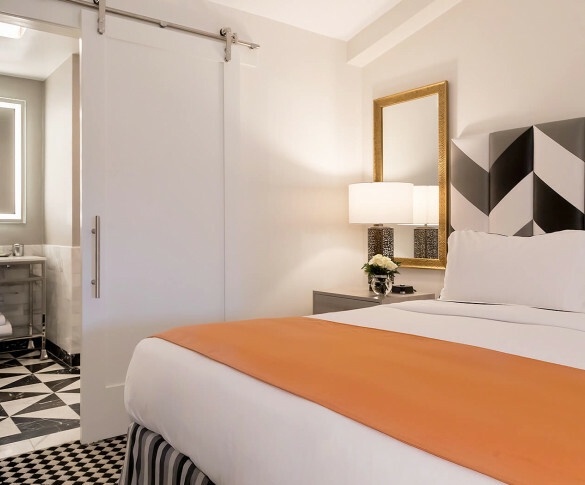 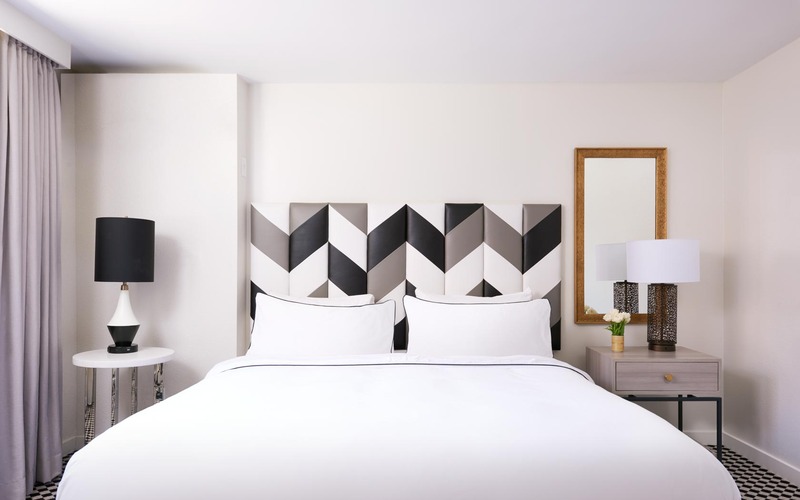 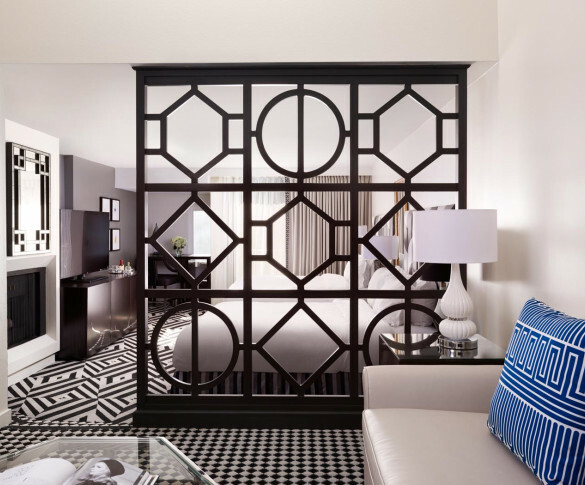 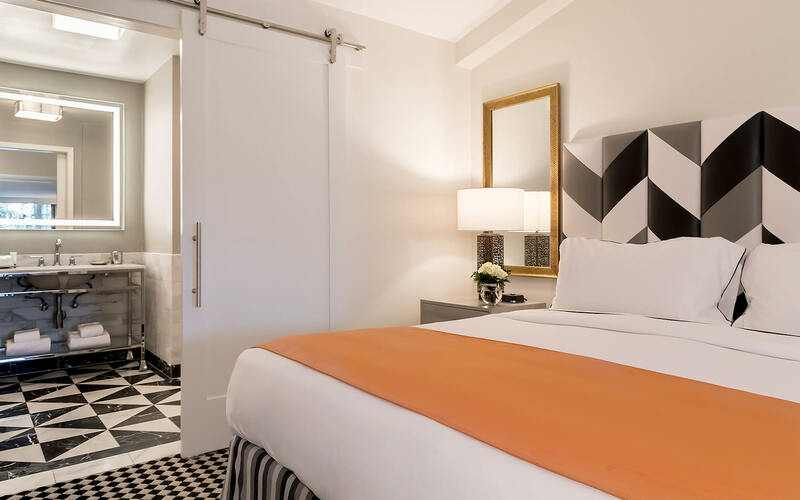 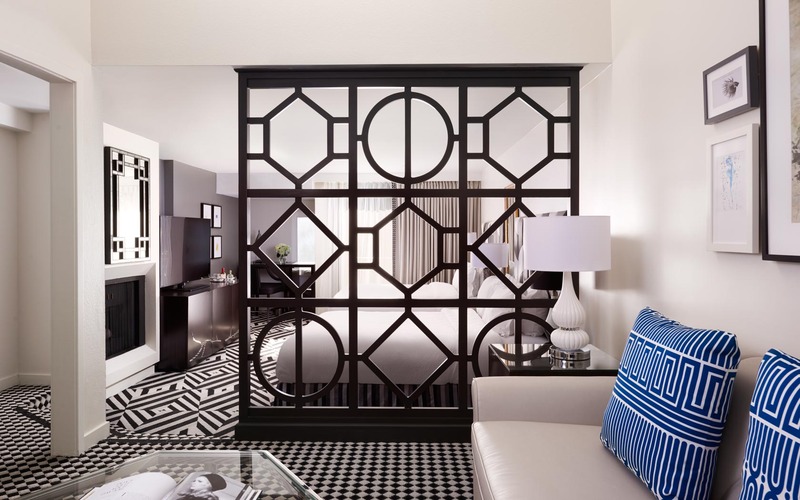 After a long day of work or play, slip into our newly redesigned, approximately 350 square-foot Deluxe Suite, a stylish urban retreat with a plush king-size bed and premium linens, an elegant bathroom and contemporary living and work areas. 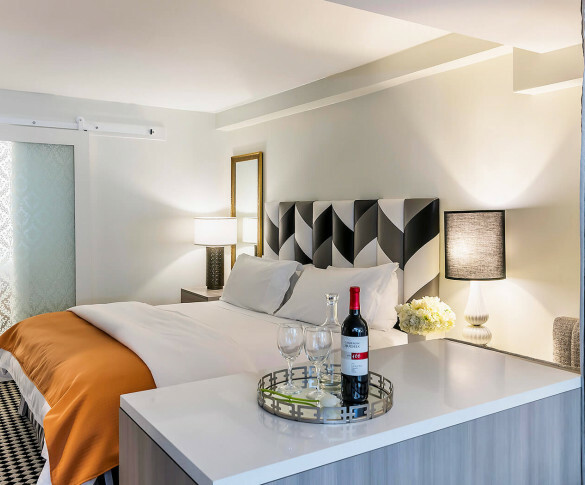 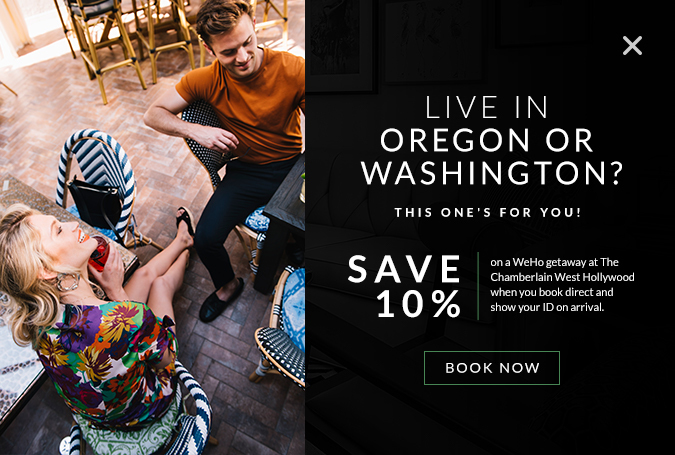 Ideal for business and leisure travelers, our approximately 550 square-foot Executive King Suites feature a brand-new stylish design, separate living spaces with gas fireplaces, spacious work areas and private balconies. 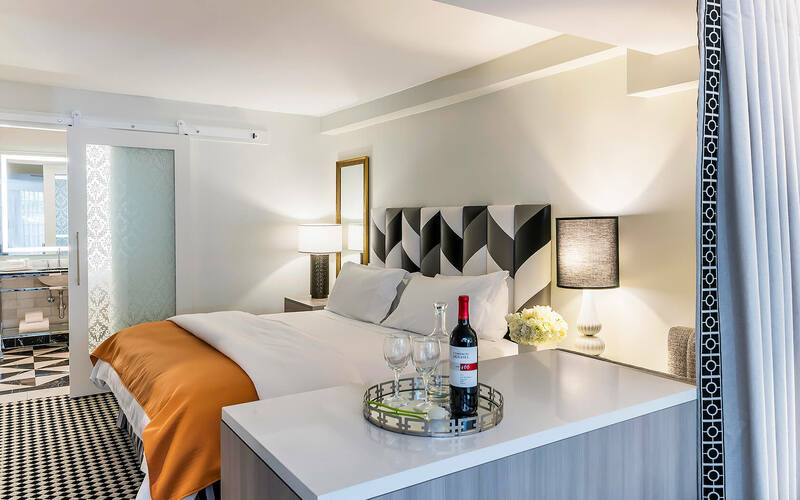 Our approximately 550 square-foot Executive Double Suites are perfect for short escapes and extended stays alike. 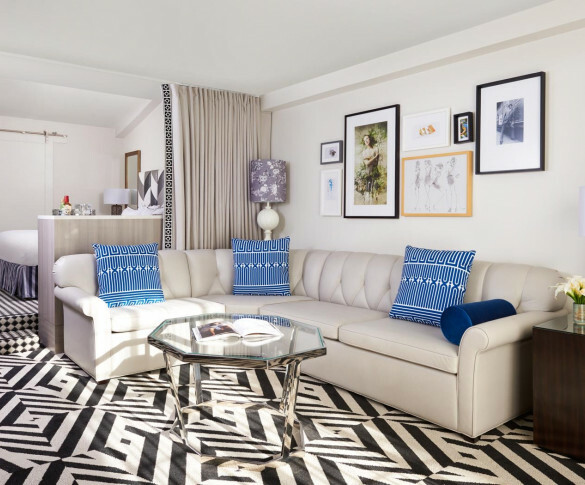 Featuring chic new interiors that evoke a residence of a well-traveled fashionista, these multi-level suites include living areas with gas fireplaces, private balconies and separate sleeping areas with two queen beds. 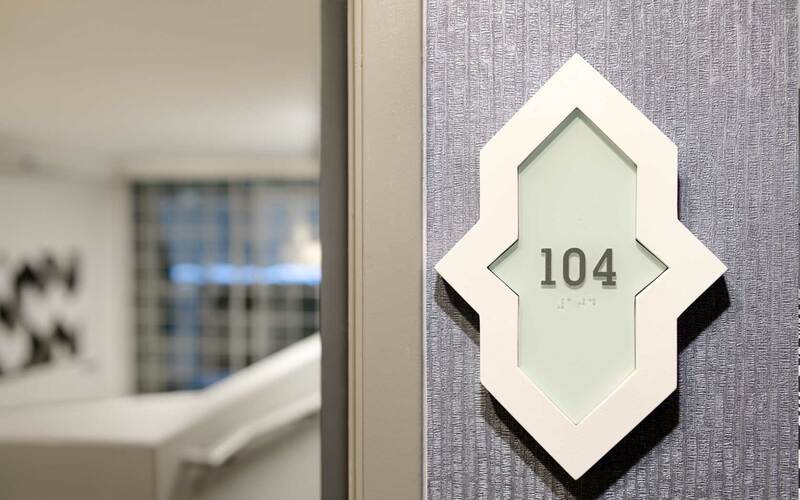 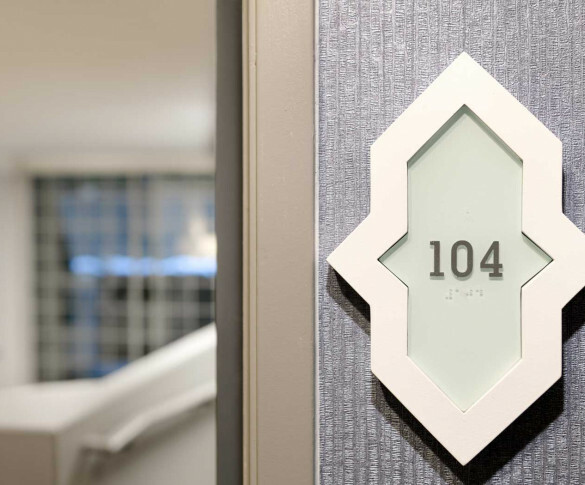 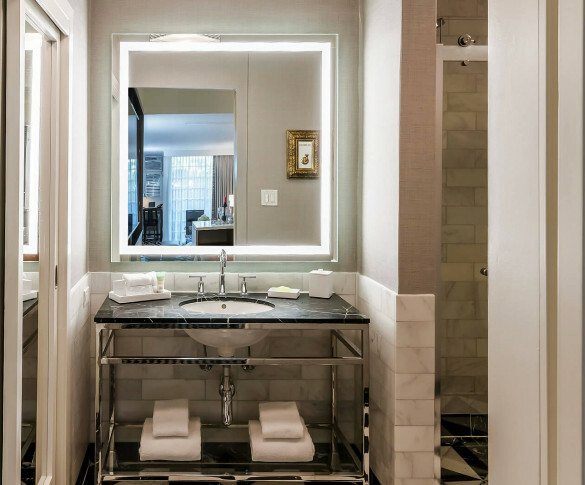 Stylish and spacious, our approximately 550 square-foot Premier Executive King Suites are located on the penthouse level and feature elevator keycard access. 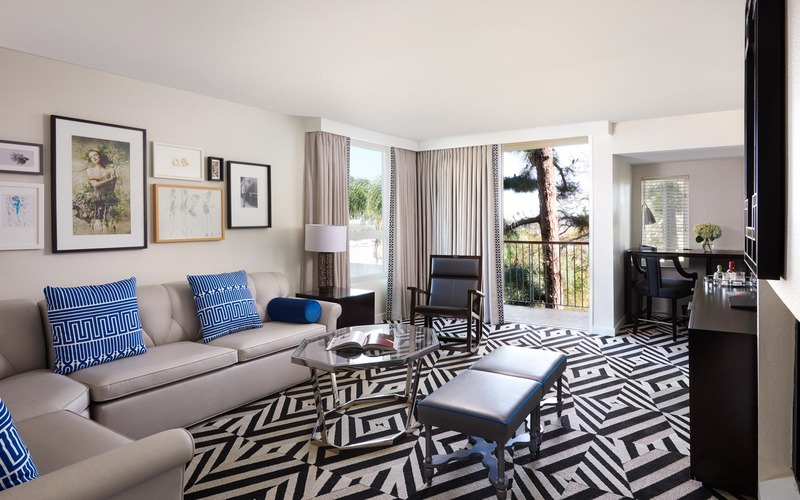 Retreat to what feels like your home away from home in West Hollywood with highlights that include a separate living room with gas log fireplace and private balcony with west-facing views. 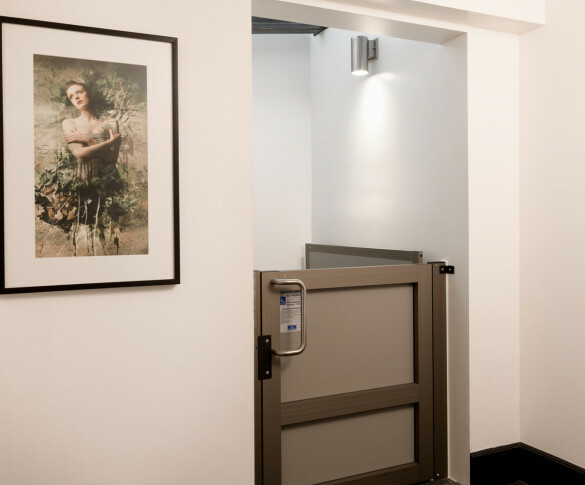 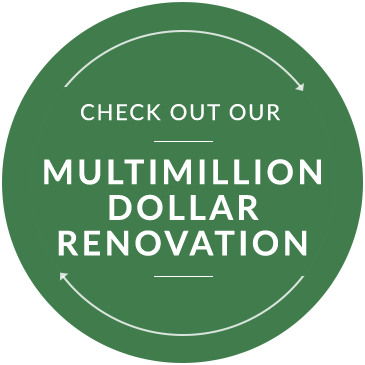 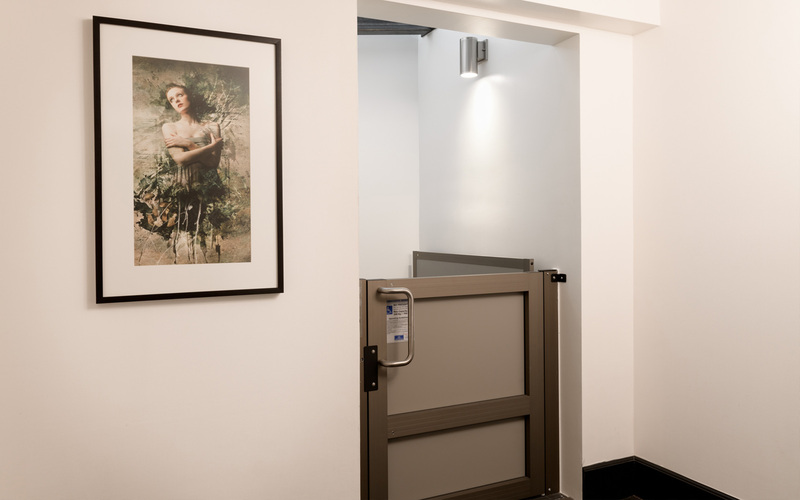 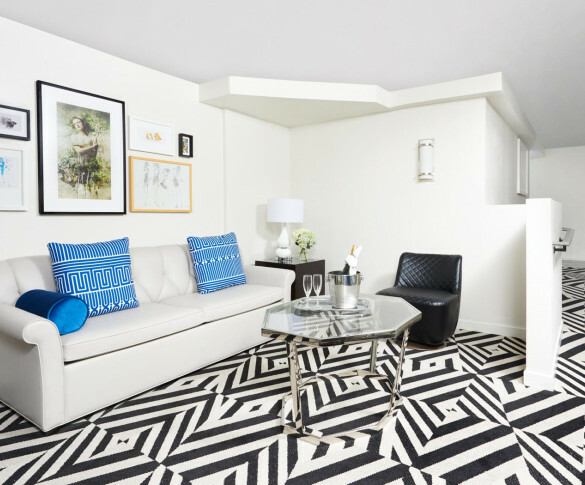 Our approximately 650 square-foot One-Bedroom Suites are where Hollywood glamour meets residential comfort. 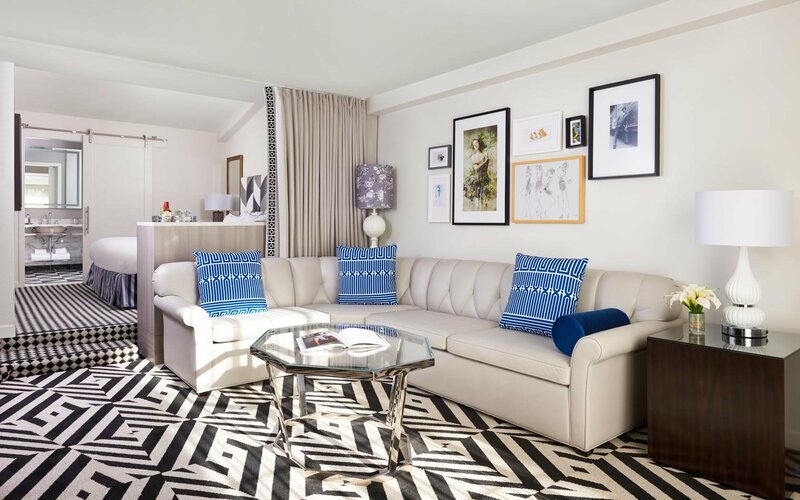 These expansive suites feature brand-new interiors with a stylishly furnished living room, spacious private balcony, cozy fireplace and entertainment center with LED flat-panel TV. 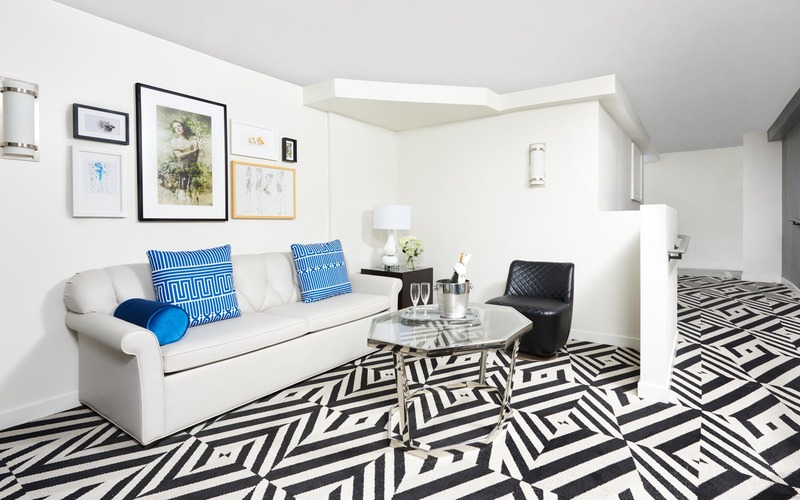 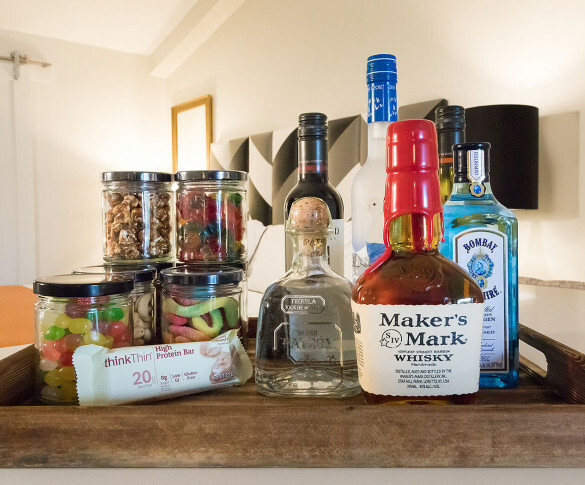 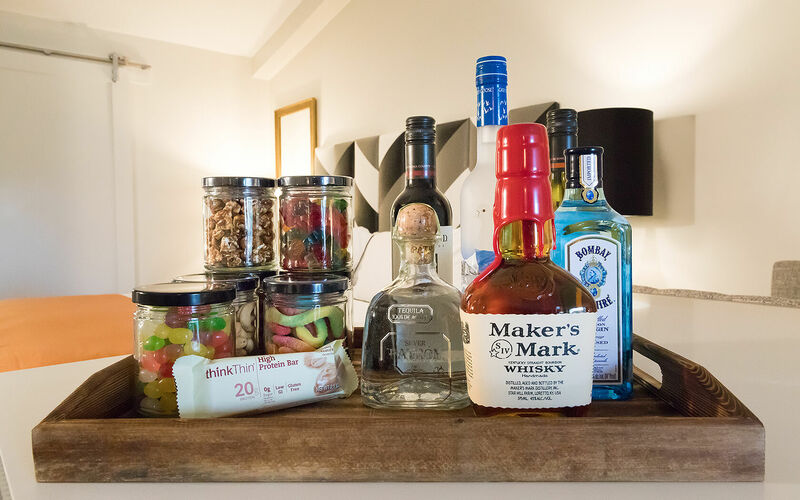 Our newly redesigned approximately 650 square-foot One-Bedroom Suites feature a beautifully furnished living room with cozy fireplace and wet bar, private balcony and user-friendly entertainment center with LED flat-panel TV. 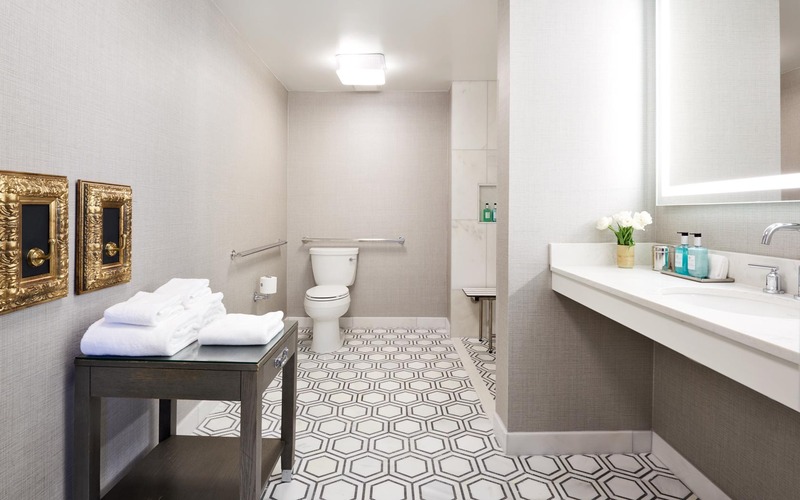 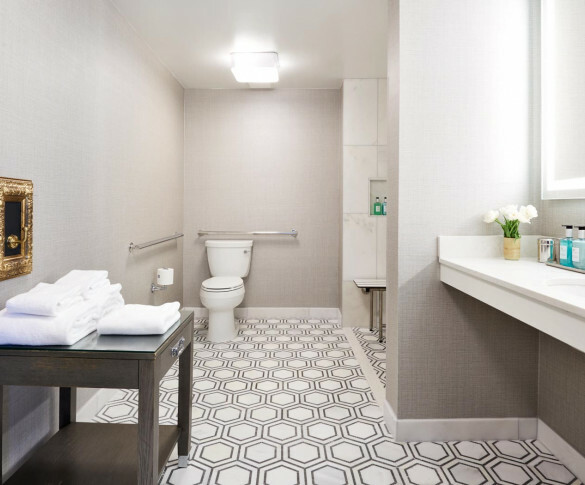 Warm and welcoming, our Executive King Suites featuring ADA mobility amenities including grab bar attached accessible seating, roll-in shower, lowered vanity in bathroom, and lowered shelf in closet.